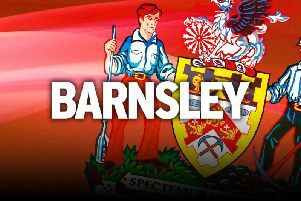 Defender Liam Lindsay is delighted his summer move to Barnsley panned out just the way he wanted. The Scottish centre-back contemplated staying at boyhood club Partick Thistle, where he was guaranteed playing time. He was the only player outside of either champions Celtic or runners-up Aberdeen to be named in the Scottish Premiership Team of the Year before he left, but Lindsay gambled on a move to England - and has been one of the Reds’ standout performers, despite their sorry season. “The move has worked out exactly the way I wanted,” said Lindsay, who moved to Oakwell for £350,000 last summer. “I’m at a Championship club, and most importantly playing every week. “That was the key thing before coming. I have managed to get into the team and I’m loving every minute of it. “There were doubts in my mind about the move, of course there was. “My initial thought was to stay at Partick and learn my trade. “If I went down to a Championship club I felt I might struggle to play every week. If I wasn’t going to play then it wouldn’t be the best move for me. “That was in the back of my mind but I had to have confidence in my ability. “I knew at Thistle I would probably play in every game which may help me in the long run. But I went for it and it’s paid off. Lindsay is now a proven Championship commodity and there was even rumoured £6million interest from Premier League outfits in January. But the Championship did take some adjusting. Lindsay added: “It’s a brutal league and you’re tested as a centre-back in every game. “You could go away to Aston Villa on a Saturday for example and then be playing Nottingham Forest or Hull a few days later. “And you’re up against players who have either been brought for or moving for massive prices.